Create DVD file with MP4, MOV, M4V, MKV, AVI, WMV, TS and more for Mac. 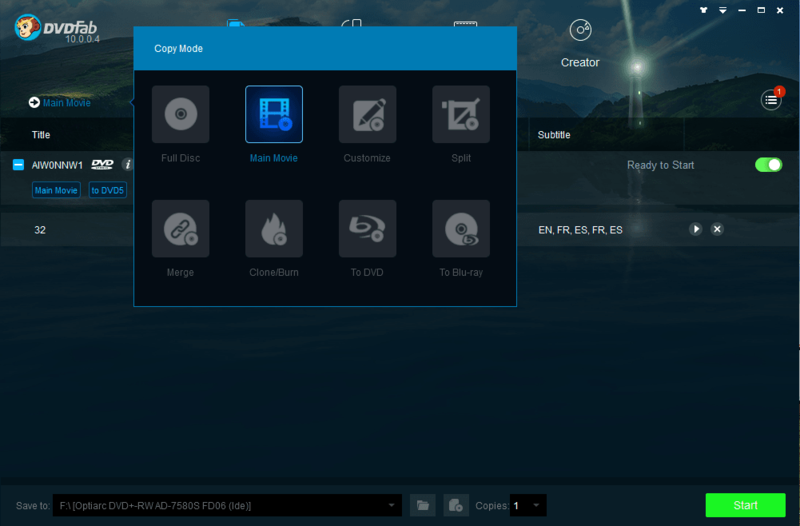 Copy home-made 2D/3D DVDto disc/folder/ISO files and clone it to DVD disc. Convert all popular video format on Mac OS X to play on Zune, cell phones. Play Blu-ray disc/ folder/ISO files,1080p HD video and others on Mac. Scan folders for video files and group results by video parameters. Enhance video quality and rotate/flip video direction. Use PhotoStage Free to create slideshows from your digital photos and videos. Enhance video quality from a lower resolution to any higher resolution. Create DVD disc with video formats like MP4, AVI, WMV, MKV, MOV, M4V, TS, etc. All-in-one video converter and editor to convert any video/audio to any format. Best video converter and editor to convert any video/audio for any device. Insert any watermark text into video files.